Need more flexibility or control over your telephone system? We have the solution which is low impact and allows you to migrate from your existing telephone system with out any major changes when you are ready. 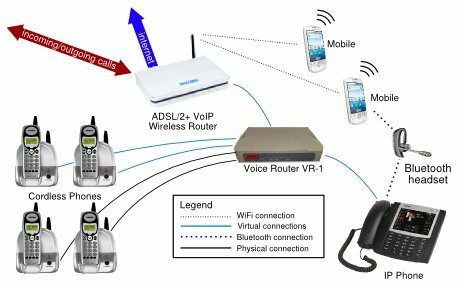 The first step is to implement a VR-1 Voice Router which is initially used to send all your outbound calls from. Our system automatically stamps the Caller ID with your inbound telephone number, which remains unchanged. This allows you to continue receiving calls over your existing lines. When we implement this solution, you will have 2 phones on your desk. Your existing phone for inbound calls and the new phone connected to the VR-1 Voice Router which you use for outbound calls. This allows you to immediately reduce the cost of your telephone calls by up to 70%. Once you feel comfortable you have the option of migrating or 'Porting IN' your main telephone number onto our VoIP network. This allows you to further reduce your costs down to a flat rate of $22/mth for up to 5 simultaneous inbound calls. No more per line costs for line rental. This is a further savings of at least $143.00 per month. ($33 per line x 5 lines - $22 = $143.00 per month). Our typical customers with 5 lines save an average of $300.00 per month. Our solutions works best on any ADSL2+ internet connection. See ISP.net.au for great deals on Quality Internet Connections. Our VR-1 VoIP Router, come with a full money back guarantee. So there is no risk and is only $699.00. The platform is pre-configured ready to use out of the box. Free support is also included for more information call us on 02 8332 3000 . 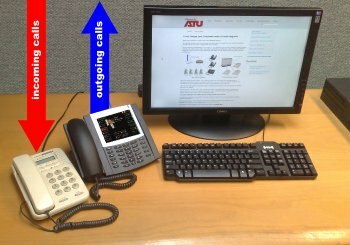 Here is the solution to help you test and migrate away from your old telephone setup. The benefit of this implementation is that it is very low impact. That means you change absolutely NOTHING to test, use and benefit from the immediate savings by using this solution. Australian owned, operated and supported locally. To achieve a superior sound quality on VoIP calls, we have built the voip network on premium routes and equipment. We are looking for International Partners with infrastructure access for regional network operations. We have a turn key solution with our integrated White Label CRM for call centers combined with Wholesale Access and dealer buy prices for our VR-1 VoIP Router. Finally a voice solution you can rely on. Our voice solutions come with a 100% money back guarantee on all hardware. We know our solutions work and we back them up with our support and guarantee. Making calls over the Internet is just like making a call over the landline. The only difference is the call charges. The charges for a Voice call over the Internet is up to 70% cheaper. Would your business benefit from saving money? Are you looking for a simple solution? Voice over IP or VoIP as it's commonly known, is making phone calls over the Internet. VoIP can save you atleast 30% on outbound call charges. And it is as easy as plugging in one of our routers! Are you interested to know how? Feel free to call us on 1300 304 288.